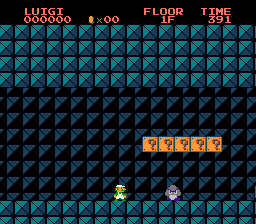 Here is a full hack which changes all the level layouts for Super Mario Bros. 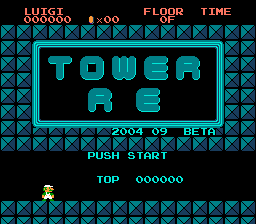 In this hack you will ascend Bowser’s Tower till you reach the top! Also included are some ASM tweaks and also includes the Hammer Suit! I haven’t played too many original SMB hacks, but those that I have I typically lose interest in pretty quickly. Happy to say that wasn’t the case with this one! 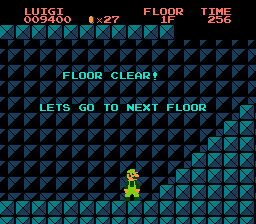 As you go through each level (floor) a unique theme or gimmick is presented that become pretty intense in the later floors. 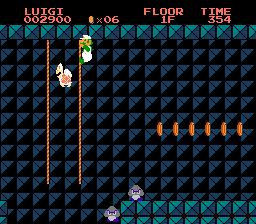 Some example include floors with inverted controls, ropes that carry you down or up automatically, and clouds of death that shoot quick bolts instead of the usual slow spinies. None feel unfair or way too slow and redundant to be fun though, so the action stays intense and mostly in your complete control. You’re also given 5 lives, generous checkpoints, and continue from the start of any floor after a Game Over (rather than the start of a World, per say), so it’s never annoying or discouraging to get back to a section you’re struggling on. My only gripe is that the one song in the game can become a little annoying after a while. Granted, that’s just SMB, it is what it is. Definitely recommend to anyone looking for a quick and fun challenging climb!